Home » Single Wall Boxes » 12"x9"x9" Single Wall Boxes » 10 x Single Wall Cardboard Postal Boxes 12"x9"x9"
A Pack Of 10 x Single Wall Packing Cardboard Boxes 12x9x9". 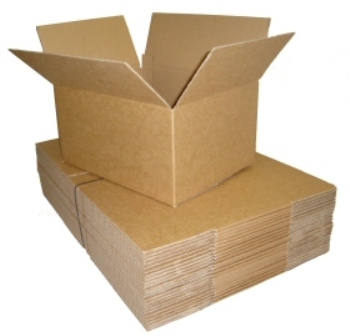 Perfect for small items, A4 documents, leaflets etc, this is the most popular of the A4 size cartons. Most commonly used in the printer industry as well as by on-line sellers for sending small to medium size products. These have an A4 size base (12x9") and are 9" high. All stated dimensions are length x width x height.